The Freedom Fighter's Journal: TRUMP KEEPING HIS BASE THRU THICK AND THIN! TRUMP KEEPING HIS BASE THRU THICK AND THIN! 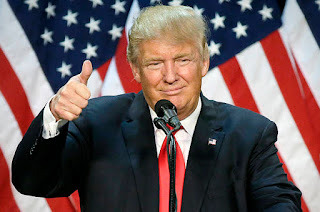 I am a seasoned citizen of 68 years and I've seen many a president come and go, but I have never, NEVER seen a president like Trump who has stood up so well against naked hatred of The Ruling Class of Democrats and Republicans living in the fever swamp of Washington, D.C., the fire storm of verbal and written propaganda from the Leftist Media, and the thousands of death threats made by rank and file Democrats. In fact, the Left has thrown everything at Trump to include the kitchen sink...The only thing left for them to do after their epic failure to impeach or indict is murder, but if the Leftists do that they have upwards of 150 million Americans to deal with. Can you say, "civil war?" Think not? To The Tea Party patriots Trump is the leader of the Second American Revolution and a latter day Lincoln or Washington. We will fight if a hair on his hair is touched by a Leftist. The Left wrongly believe that if they somehow get rid of Trump that's the end of the Revolution - No, the conflict moves into Revolutionary War. Lincoln doesn't come any where near Trump. He started a civil war to prevent the States seceding, and was overlord of about 700,000 awful deaths. And his bloody civil war had nothing to do with slavery >> " I would still prosecute this war if not one single Slave was freed"
Don't know about Washington. Trump wins.